This week's update is here and looking good for Old School with several new visual additions as well as a visitor from overseas. Players brave enough to take on Zulrah now have a chance of receiving a couple of new drops from the venomous beast: Tanzanite and magma mutagens. 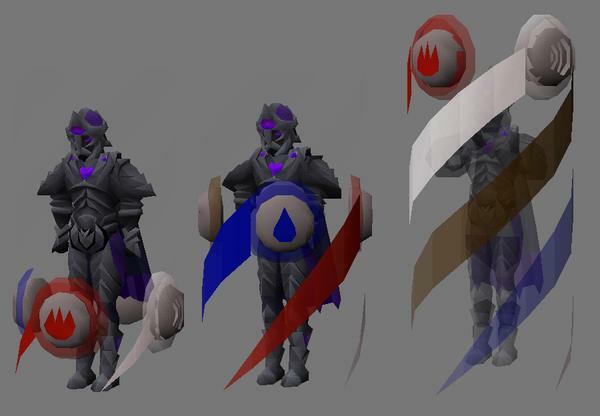 These mutagens can be used with serpentine helms to create the magma helm and tanzanite helm, two cosmetic variations of the serpentine helm. Neither the mutagens or mutated helmets are tradeable. 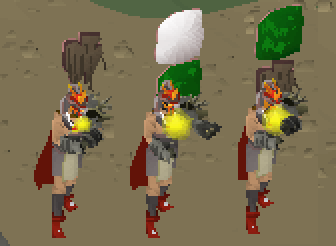 These helmets carry the exact same stats and effects as the serpentine helm. The change is purely cosmetic. If you see someone wandering around with one of these lovely looking things on their head you can be sure that they've put some time in killing that pesky snake. Mod Ghost has made some lovely new animations for a few of the spells unlocked as rewards from achievement diaries. The Fountain of Rune teleport, tan leather spell and recharge dragonstone spell have all received new animations. Ancient teleport tabs and redirected house teleport tablets have been given a bit of a makeover in order to make the different types of teleport tablets more distinct. 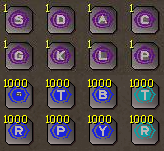 You can now recognise ancient teleport tabs by the purple rings around the letter on the tablets and the redirected house teleports by the letter now added to the tablets. As voted for in content poll 32, players that have completed the Varrock medium achievement diary can now toggle their Varrock teleport to take them just south of the Grand Exchange. The destination of the teleport can be toggled by right-clicking the teleport in the spellbook tab and selecting 'Destination'. In addition to this, the ropes used to access the Kalphite Queen will stay permanently for players that have completed the elite desert achievement diary. Throughout May you might find yourself bumping into Big Mo. Big Mo is a businessman and salesman from overseas who has decided to take a trip around the map between May 1st and May 31st in an effort to get his hands on some interesting and valuable wares. He is in need of your help. After an unfortunate series of events involving faulty dragon claws, Big Mo's brother is no longer able to help him with the day-to-day running of his business. This leaves Big Mo with some tasks and items that he is unable to follow up on. In particular, clue scrolls. Once per day throughout May, if you can track down Big Mo, he will be willing sell you a clue scroll for a very reasonable price. There is no guarantee of what tier clue scroll he may sell you, but the more you visit him throughout the month the more likely it will be that he has the tier that you are looking for. Big Mo will arrive in Varrock on May 1st and will be found somewhere different around the map each day. He can be quite a difficult man to track down so there will be some hints on the Old School Twitter a few hours after he moves each day. • A coloured notification now appears in the chatbox when you get teleblocked. • Fixed a typo in some Tourist Trap dialogue. • You must now kill each of the demi-bosses, wilderness bosses and Dagannoth kings to complete each of the respective tasks. • Explorer's ring 2 & 3 now restore 50% of your run energy per charge, regardless of your agility level. Double Sandstone, all that matters.
" 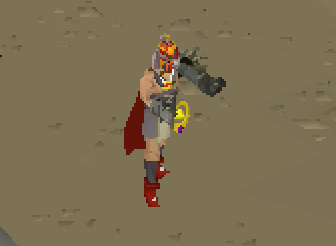 It is no longer possible to skip a step of the 'Make a rune crossbow yourself from scratch' achievement diary task"
Will players who skipped steps on this task and managed to complete the task without the requisite levels have the task locked again? It would be a little unfair if people were able to claim the elite diary cloak without 91+ Smithing. 2014 & 2015 Skilling Cup Champions. Mo Money for Mo? If something doesn't make sense, then someone is probably lying. Ooh maybe we'll see some 3a weps come into game or a cloak.